Lovely Mar 28 2018 12:50 am What kind of heart disease is the lead male character has??? mamoodahell Jun 11 2016 8:47 am Anybody who knows that ending song? SharpEagle May 15 2016 7:14 am Hard to watch for those who don't have a Girlfriend. I so much want one right now. Otherwise its a soft, touching emotional dramatic film worth watching. I also recommend "From Me To You". sonny Oct 21 2015 2:05 am Superb movie..
Lalaland126 Oct 16 2015 10:37 pm I watched this after I broke up with my ex boyfriend. As normal girls would do I got my sweat pants on and got my ice cream and started watching this because I thought it was those romantic movies where everything ends perfectly. Since my mom and I went to our local movie rental place and I saw this. I saw Inoue Mao and Okada Masaki together in this other movie called Shazai no Ōsama (the King of Apologies) And while watching that movie I was thinking "it would be funny if these two got together." Well when I went to the movie rental place I found this movie so I thought it would be funny to watch. By the first look of the movie I just thought it was just a fluffer romantic movie to watch to make me at least a little happy about someone's love life besides mine. I guess I was completely wrong. Don't get me wrong I LOVED the movie, but it was definitely the most bittersweet thing I have ever watched. I think I cried in this movie more than I did when I watched the fault in our stars, because at least in TFIOS they only met each other recently. Unlike this where they basically knew each other from they were children, and to lose such a long and close relationship definitely made the impact hit harder for me. I cried so much in the end that I had to pause the movie and let myself completely lose it. Usually when I cry in a movie it's just a couple of streaks and I get a tissue and wipe up. End of story, but this one I cried so much that my face was throbbing cause of the amount of wiping I had to do on my face and also the crying gave me an intense headache. Loved the movie but be ready to have your heart completely torn apart and broken. Slippers Slippers Aug 04 2015 5:14 am I've just finished watching this, i am still crying my heart out for a few minutes. I've never been in a relationship before, i'm already 25 but after watching this i don't think i can't handle loving someone this much. Mohd Adam Dec 04 2014 9:10 am I love this movie about their first love affair. It's so exciting and interesting to watch them act with courage and guts. To give love to someone was not that easy as it looks in this movie. kiki Nov 01 2014 2:02 pm I love that movie so much !! I want to know the name of the piano piece playing as background music when takuma found out his situation fromthe conversation of his parents and doctor when he was 8. I seriousky want to listen to that piece and plz help me if anybody knows. Laz May 28 2014 11:16 pm .. i really love this movie and cried a lot ..
realyn Mar 07 2014 11:18 pm I really like this movie..It reminds of my #love... #Masaki Okada youre so cute..
exokai88 Feb 13 2014 8:43 pm the story line reminds me of koizora.. anyways.. i think it's good..
neiljohn Aug 28 2013 4:53 am this is a great japanese movie,im happy to watched this movie. Rodes Apr 12 2013 6:53 pm Does anyone know the name of Kou's college girlfriend? liz Mar 24 2013 3:15 am Kudos to the child actors who played young Takuma and Mayu. Bridget Aug 11 2012 9:15 pm MOST BEAUTIFUL LOVE OF ALL!!!!!!!! dani-saki May 02 2012 1:16 pm this is like millionaires first love with the heart disease but i also liked it because its the most touching Japanese movie i seen. Kimpss Apr 17 2012 8:08 am It's such a great movie, crying like a crazy girl infront of the computer like watching? Not bad. Tieyhah Apr 10 2012 7:51 am This movie is so Sad .. I cry when see the Ending . dave Jan 19 2012 11:42 pm Agree at my bottom , i think that is the perfect ending for this movie . Leather Cover Jan 13 2012 12:31 am It?s really a great and helpful piece of information. I am happy that you simply shared this helpful info with us. Please keep us up to date like this. Thank you for sharing. Karen R. Dec 14 2011 3:08 am THIS IS DEFINITELY THE BEST MOVIE FOR ME. azy Nov 22 2011 3:08 am i love the movie..it is so touching.. has a resemblance with koizora which is a good movie also..
maneki hobbang Oct 11 2011 10:17 pm i don't think i can watch one love-separated-by-death movie without thinking about koizora. 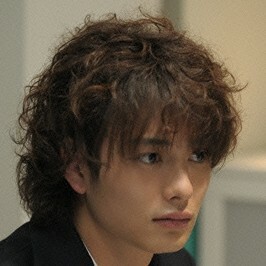 although i wouldn't watch miura haruma in another one of the same plot, okada masaki definitely reminded me of him. however, the characters' personality contrast is more original and fun. i do like both inoue and okada's performance, but the kids are too cute--i wished for a second that the kids played the entire part. Charlie Po Jul 07 2011 2:21 pm Just finish watching it right nowwwww...... I cried so much!!!! Nice film, Mao Inoue is so cute and her acting in this role is perfect!!! daisy29 Apr 19 2011 2:46 pm umm quick question... i know that it already up on youtube with subbed but does anyone know where i can watch the whole movie cause someone didnt upload the whole movie and i went to a french website called wat and the link was broken. alexx Feb 10 2011 6:28 am this love story is a wonderful one, but in the same time is also sad. i think mao is a beatiful and talentated actress. J Feb 08 2011 12:05 am Absolute perfection! We all know that there just too many Asian dramas/movies with very similar plots: the couple grow up together and eventually one of them dies from an illness. But this one is different from all the rest. Absolutely touching and spine-tingling. Mimi Jan 06 2011 9:01 am I thought the most touching asian drama i've watched were ichi rittoru no namida and a millionaire's first love but when i saw this i cried a lot. It was really great, their love story beats Romeo and Juliet's story. Saitou Yakumo Dec 30 2010 9:31 pm this movie is so great.. its like koizora ..where the guy also died..
nei Dec 21 2010 1:39 am this movie wa such a very good one! even though it's rare nowadays, i belive that this kind of life still exist in each and everyone. i might be so emotional in public but i can tell you that this kingd of lovelife still exist. test Nov 03 2010 2:16 am Hi, I heard there's a manga for this shw... cn ani 1 tell me wad iz the title of the manga and izzt published in either eng or chinese? Hanaja Oct 25 2010 1:15 pm I cried a lot!! This movie is so great! Reminds me that we should give everything to make our loved ones happy! We should always make every moment memorable for our loved ones. The most touching movie ever!!! :( I wanna watch it all over again eventhough it brings me so much heartbeak..
Jiaenelideman Oct 22 2010 2:18 pm Luv this movie. non sibi Oct 06 2010 8:58 pm I like its story plot. Remind me that I shall always be grateful for a new day. Fredy Sep 04 2010 11:58 pm I love so much this movie :) Mao Inoue is very beauty and the theme song is greatt!!! gab Aug 22 2010 11:11 pm i'll hunt for this movie now!!! *evil laugh thanks for the comment sisters!! *wink. :P lol. krimlet Jul 24 2010 5:43 pm i love this movie. it made me cry as well. T_T really good movie. Ali Jul 21 2010 11:12 am Who did Sea Kumada kiss? :o I was looking for that guy but then his name wasn't there. Anyone? help me. kaoru94 Jul 17 2010 2:45 am oh my TT this movie really made me cry . geeezz . Summer Jun 24 2010 6:33 pm so so beautiful but sad at the same time ~~~~~~ a MUST-WATCH !!!!! itouxxx Jun 17 2010 9:02 pm i hate the very sad ending like that. i want the happy ending!!! Raiden Jun 16 2010 10:56 am Anyone found an english subtiitle for this movie ? Damay Mar 10 2010 5:22 am oh my!!!! 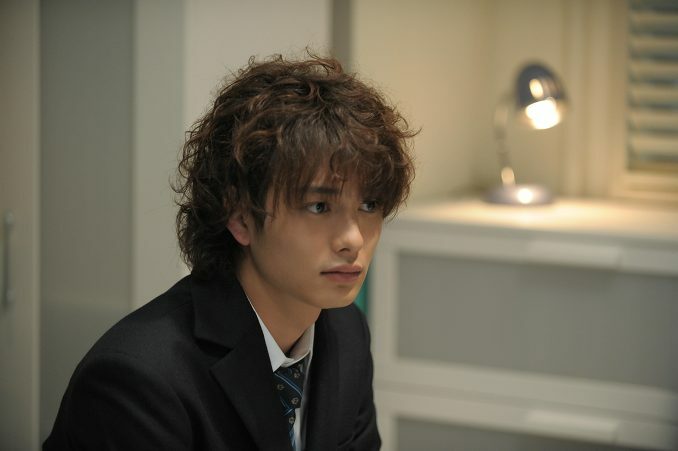 I really want to watch this movie... and i thought this movie very..very...very...good....a.k.a SUGOIIII desu!!!! D' Feb 20 2010 5:11 am I want to watch this movie soo badly!! I love this manga so much, Bet the movie will be as good!! rebecca Feb 07 2010 4:37 pm i really want to watch this movie, can anyone please tell me where i can watch it with english subs? pariyesh Feb 01 2010 3:09 am It is a great movie that usually made me cried. surely I'd not watch it only once or twice ! Trish Jan 21 2010 4:44 pm Can anyone tell me, please, the title of the song used in the commercial? The song is pretty and the story is beautiful! I can't wait to watch the movie when it comes out with english subs! I loved the manga...but haven't finished yet cause waiting for it to be subbed! It looks like a sweet movie, can't wait to see it!!! Itsme Dec 02 2009 2:54 pm Hi, I like the plot but im not really a fan of manga, so i was wondering if someone could tell me ¿where to find this movie?, i would really aprecciate help. Vanshika Nov 27 2009 8:52 am I'm dying to watch the movie although I am in the middle of the manga. The manga is wonderful . I wonder where can I get link to the subtitled version. p3rk3le Oct 21 2009 6:04 pm I'm dying to watch this one!! Hikari Sep 26 2009 9:07 pm Ahh!! So cool it releases on my birthday!! Can't wai~t! I love Inoue Mao! Eri Jul 07 2009 12:55 am Looking forward to this movie! I am a great fan of the manga and the mangaka! Hihi. ehra2008 Jul 03 2009 9:53 pm Waaa............Inoue Mao she is really great.....And yeah they say that Manga is really a great story!!!!!!! Emily Mar 10 2009 6:47 pm I didn't know they were making a movie of that! I love that manga. <3 It's so sweet.